I remember a conversation with a close friend of mine where he asked me, “If you could look like anyone in the world, apart from yourself, who would you want to look like?” And I remember myself immediately replying, “Lorde.” He seemed puzzled, and asked why. I said, “She’s confident, unique, and so…raw.” (Raw as in genuine and straightforward and true.) Yup. I still stand by that statement. What does being confident, unique, and genuine have to do with looks, you may ask. But I think it actually has everything to do with looks. When someone is confident in their individuality and comfortable in their own skin, it shows on their face and the way they carry themselves. They glow(I often see this when I’m browsing through http://www.humansofnewyork.com). Of course, I can’t say for certain that Lorde is self-actualized and genuine(because I’m not a supernatural being that can determine people’s internal statuses) but when I watch clips of her performing her songs or talking about her music in interviews, I get the feeling that she is being genuine and true, from the lyrics she writes and the way she always speaks her mind honestly, the way she twitches her body to the rhythm with her eyes clenched shut, with her hands in the air, trying to shape the feeling of the sound like she’s searching for something. 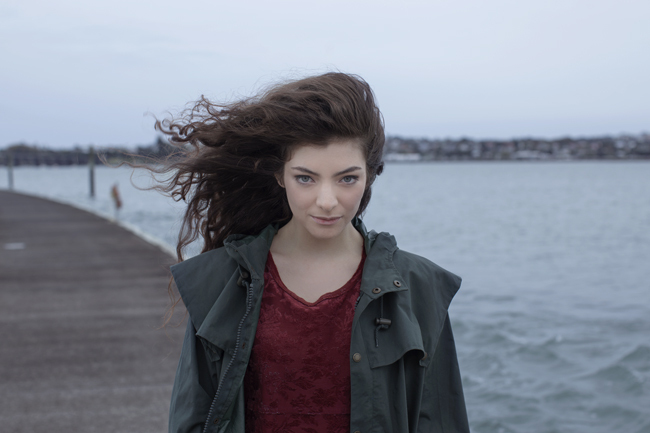 Therefore, when I think of Lorde, the first thing that comes to mind is “raw”. She’s just so original, from the way she posts pictures of herself with her acne cream to her outrage towards photoshop. 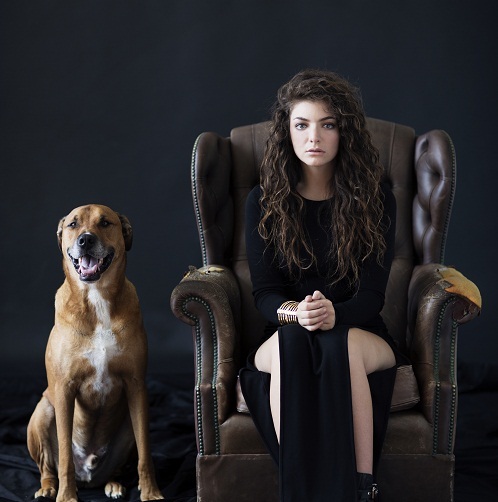 Not only is Lorde sensational in her music, but also in her style. 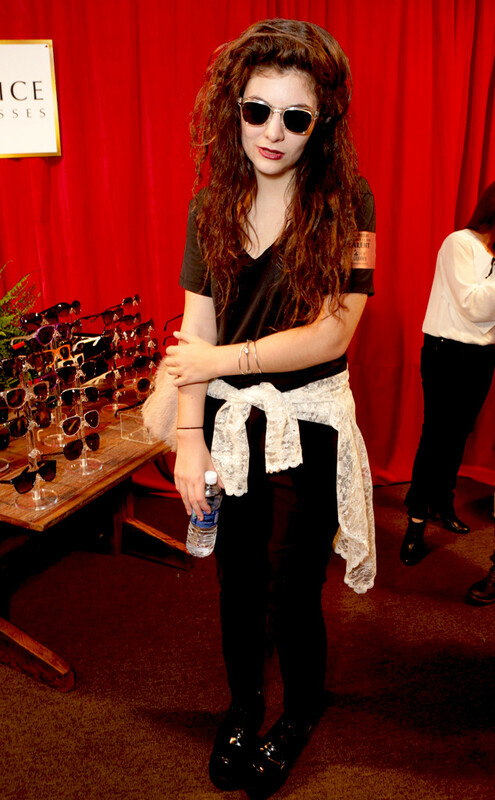 I must admit-I am officially in love with Lorde’s fashion. I don’t usually gush over celebrities’ clothes but I just can’t help it because Lorde’s fashion so clearly yet subtly reflects her character and identity. Also, I personally love her simple-yet-bold clothes in general. One of the things I despise the most is drawing lines between men and women. Obviously, in many cases, the two sexes are essentially distinctly different in more ways than one, but I strongly believe that generalization must be avoided. Maybe that’s why I feel attracted to people or concepts or art pieces that successfully destruct the line between blue and pink that society has created for us. I am captivated by people who proudly stand in between the traditional gap of perceived gender disparity. People like Lorde. 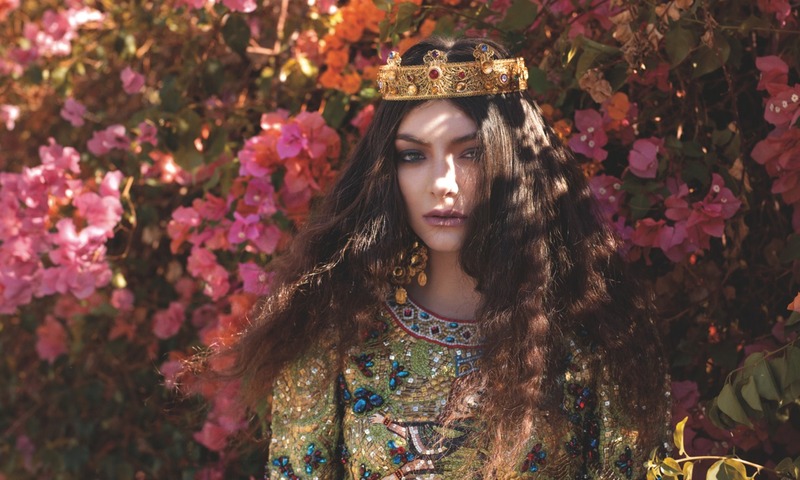 Lorde’s style is ‘feminine’ yet ‘masculine’, mature yet youthful, and unique and individual yet relatable to the general public. Although she does have her flaws and does make mistakes once in a while(I didn’t understand why she declared Selena Gomez’s song ‘Come and Get It’ to be against feminism… I think it’s really all in how you interpret the lyrics, and Lorde saw them in a more sensitive way, I guess. ), she’s still one of the most courageous young artists out there that are in the business mainly for the art, not to earn money by trying to look attractive and singing catchy songs that mean nothing to her. And that’s what makes her so appealing to hordes of fans(myself included). Her truthfulness shines into her strong, independent, ‘this-is-who-i-am-so-deal-with-it’ style. She usually wears clothes with bold hemlines and structures, and this conveys her attitude perfectly. Most of the time she wears bold, dark colors like black(lots and lots of it), wine red, dark blue etc. I just cannot get enough of her serious, dark, mysterious atmosphere. I didn’t think I would ever say this about a celebrity, but I just want to buy her wardrobe. There. I said it. Her expression of self through fashion is almost identical to how I would choose to do it if I had more money. The fun thing is, judging from Lorde’s clothes, I feel like I’m already her best friend, since our styles are so similar. The basic premise behind this thought is probably that fashion reflects one’s personality and inner nature. Don’t we usually feel compelled to befriend those with similar self-identities to ourselves? Fashion is a profound way of expressing individual identity, and it can bond people together or split them apart(*cough cough high school cliques*). It’s quite interesting how the most basic principle of fashion can make me feel like I’m soulmates with a celebrity who doesn’t know I exist. said Konni, desperately trying to rationalize her extreme Lorde fangirling. P.S. Your blog is amazing. I love the photos! Thanks! : ) Hope you have a wonderful day! I LOVED this post. And I agree about Lorde. These individuals really stand out from manufactured individuals who get fame thrown at them, the merit of those who work their arses off to get where they are, it builds a unique and strong character and not to mention a plethora of artistic material! Thanks, Charlotte! Yes, genuine talent and originality really is the key to earning respectful success. I’m glad you loved the post! Your blog is very interesting. I never knew astronomy could be so intriguing! Your writing style is exquisite. Love your blog can’t wait to read more.